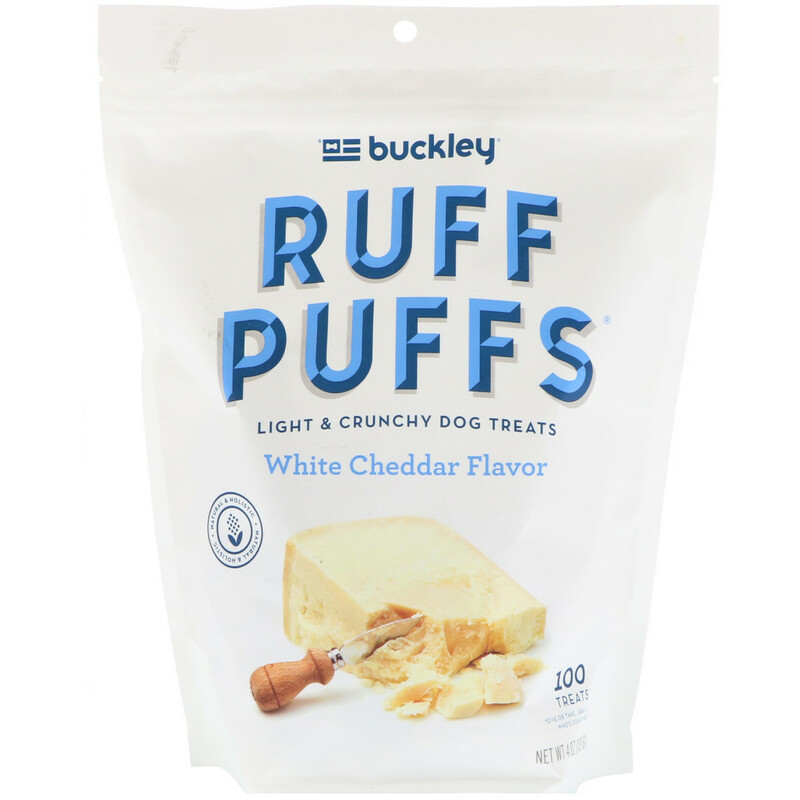 Buckley Ruff Puffs are the light and fluffy answer to the biscuit blues. These crunchy treats are baked to perfection and light as cloud. Give 'em a try. You're giving them the good stuff when you treat with Ruff Puffs. *Give or take...really, who's counting? Sorghum grits, dried navy beans, sunflower oil, dried cheddar cheese, dried honey powder. For safety, please provide plenty of drinking water and supervise your dog during consumption. Treats should not make up more than 10% of your dog's daily diet. Calorie Content [calculated]: ME = 4,400 kcal/kg, 125 kcal/oz, 3.30 kcal/treat, based on average treat size.